On November 1st and 8th, CARP Las Vegas held special ‘Campus Talks’ on their two campuses, College of Southern Nevada (CSN) and University of Nevada, Las Vegas (UNLV), with the theme “Peace Starts with Me.” This event was inspired by Mother Moon’s Peace Starts with Me Rally at Madison Square Garden (MSG) earlier this year. The purpose of the Campus Talks was to create a space for professors and staff to share their knowledge and wisdom to students and to strengthen the relationship between the two. The goal was to create a cultural shift on the campuses to be more positive, interconnected, and empowering. To help get the word out, CARP members went to over eighty classes to make an announcement and invite students to attend. Some of the professors even gave extra credit to the students who attended. CARP students also performed live music throughout campus and passed out flyers to advertise. “One of the most exciting things about preparing for this Campus Talk was the unity and passion that we felt to make it happen. This time, it wasn’t just the usual CARP staff who made it happen, but it was a unified effort of all the students who are involved in CARP and who have been studying [Unification Principles] this semester. We had a campaign to ask permission from professors to speak in front of their class about the event. Everybody contributed to make that happen, even people who had only meet CARP a week before. It gave everyone a sense of ownership over this event and CARP’s vision. I think it was the power of that unity that made it a great event. Also, we all contributed on the day of the event in playing music at our booth on campus and passing out flyers to students. The theme “Peace Starts with Me” was close to the hearts of the Las Vegas community because of the recent shooting at Mandalay Bay. The idea of peace was very comforting to professors and students alike. Each of the professors who spoke were introduced at the event by a student who had a personal connection with them. The speakers all shared different stories about how they had pushed for peace in their lives. The first event took place at CSN on Nov. 1. They had four speakers who presented in a packed classroom. The first professor shared about how she grew up in a impoverished, immigrant family and how her community helped her find peace within herself, as a first step in supporting her dreams. She decided to share what she had learned by becoming a teacher. The second professor shared about how to affect the environment instead of being affected. When asked, “what gets him up everyday?” he answered that every morning he thinks about all the people who believed and invested in him. The third professor shared that peace is about genuinely giving more than what is expected. Through living for the sake of others, a ripple effect can be created. The final professor was CARP CSN’s faculty sponsor. He introduced the term “SOS” to mean “Sacrifice Of Selfishness” as a way to create peaceful relationships. He encouraged the audience to practice selflessness in their daily life. UNLV also had four professors share their perspectives and wisdom on peace. “I really enjoyed the event itself. My favorite part of it was seeing how happy the speakers were to be able to talk about the theme. 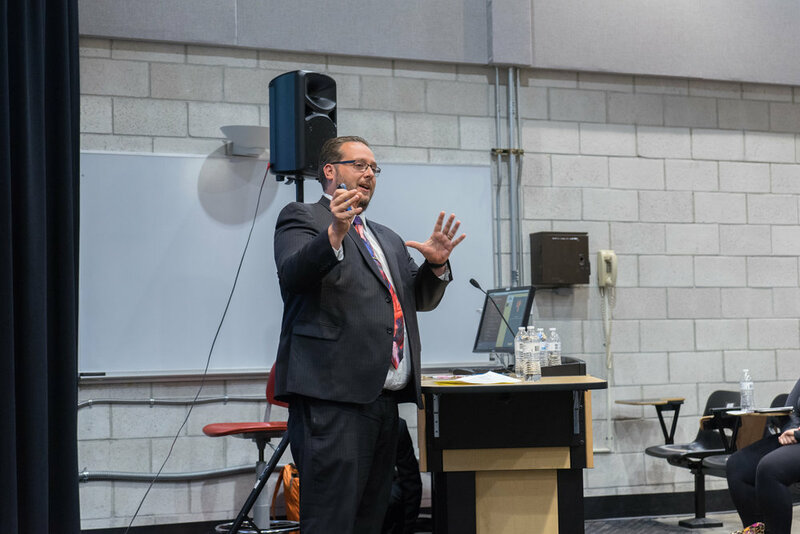 Though professors have the opportunity to speak to young people a lot, they don’t often have the environment created to be able to share real wisdom like they did in the Campus Talk. The first professor shared a personal story of loss and how he overcame his grief through choosing to digest the pain instead of being swallowed by it. The second professor talked about his ancestors and all they went through to lay a foundation for him to be where he is and to be a positive influence on others. The third professor shared about her undergrad project on recycling and how it helped UNLV. She shared how challenging it was to complete the project, but persevering allowed her to change her environment. 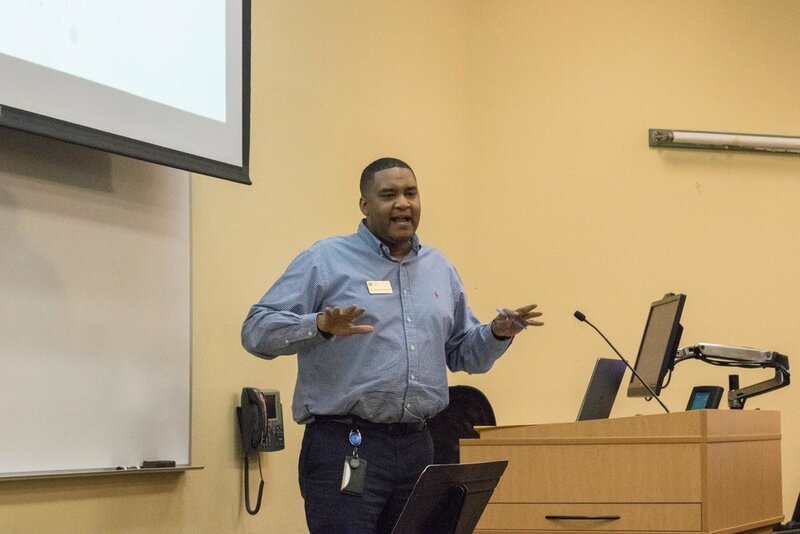 The fourth professor reminded everyone how blessed they are to live in a culturally diverse community and that by respectfully embracing and collaborating with each other, we can expand opportunities for all. A student that attended the event shared how he wished that there were more students who came because he had gained so much. Another student said there should be a class titled “Peace Starts with Me” to continue these insightful and real sharings. A faculty member shared how giving this talk gave him hope for the future. He is excited about future collaborations he can do with students to further unite faculty and students. Other staff members were eager to share their own experiences at future events. Many of the faculty members and students were grateful to CARP for creating this opportunity for dialogue and for organizing this event. CARP LV hopes to spread this initiative for peace and honest sharing throughout Las Vegas, the nation, and world. “We want to see greater collaboration and synergy between professors and students. We want to see professors who are investing into students as leaders of the future. Not just into their academic and professional selves, but their character and heart. Great job, CARP Las Vegas!